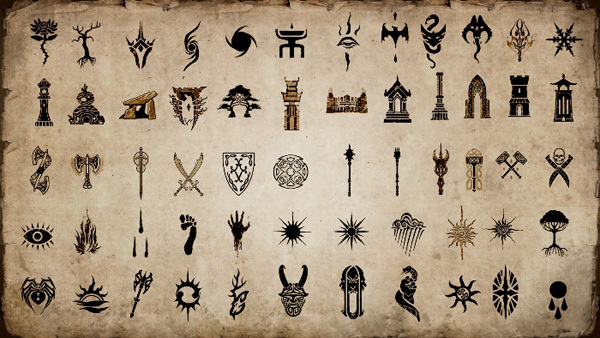 Guilds are player run organisations in Elder Scrolls Online which bring players together. A guild normally has a general purpose such as trading, roleplaying, PVP or PVE. There are also social guilds which aim to enjoy ESO in the company of friends and guild which do a whole range of activities. Guilds can be great fun and offer assistance with quests, fighting, PVP, crafting and grouping. Note: The Mage’s Guild and Fighter’s Guild are NPC organisations and these are not related to the player guilds. Guilds are tied to your ESO account and not your individual characters. This means that all of your characters will be in the same guilds even if they are on different Alliances. You can be a member in up to 5 guilds at any time. Guild can offer the opportunity to chat with members of opposing Alliances however guilds will have a home Alliance which is usually the Alliance from which most guild members belong. The Guild Store is a place for guild members to buy and sell items internally (within the guild only). The Guild Store is accessed at any Banker around Tamriel. The Guild Store becomes a public store when that guild successfully bids and wins a Guild Trader. See Trading Guilds below. The Guild Bank is a communal space for storing and sharing items within a guild. Access to the Guild Bank is controlled by the Guild Leader using the Guild Ranks feature. The Guild Bank is accessed at any Banker in Tamriel. The Guild Bank is available to guild with more than 10 members. Guild Ranks are basically “roles” within a guild which control the permissions of members. The following permissions exist and can be set by the Guild Leader. A guild can set a Message Of The Day which then notifies members and can be seen in the Home Tab of the Guild Screen. A guild can also add text into the About Us section of the Home Tab which provides helpful information to guild members like guild goals, requirements, a guild website and TeamSpeak channel. 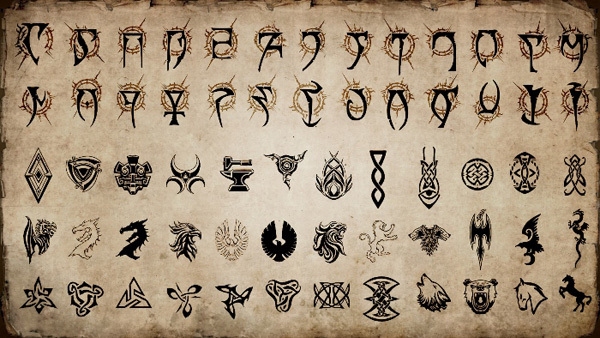 The Guild Roster can be accessed by all members of the guild and is a list of the current members, their online status, account name, location, class and level. You can right click on a name and select Travel to Player and you will travel to the closest Wayshrine to that player for free. The Guild History tab displays information about players joining and leaving the guild, changes to the Guild Message or About Us section, information about withdrawals and deposits to the Guild Bank, buyer and seller information from the Guild Store and past ownership of keeps and resources in Cyrodiil. Trading guilds, or merchant guilds, are set up with the intention to provide a good place for players to buy and sell goods and items. When a guild has more than 50 members it unlocks the Guild Store functionality which allows members of the guild to buy and sell their wares internally. This is only accessible by members of the guild. In order to sell wares to the general public a guild must bid on one of the many Guild Traders around Tamriel. If a guild wins the bid (by spending the most gold) then that Guild Trader will be able to sell all of the items in the Guild Store to the public for one week. This is great for the members of the guild as now their wares have a much larger audience. 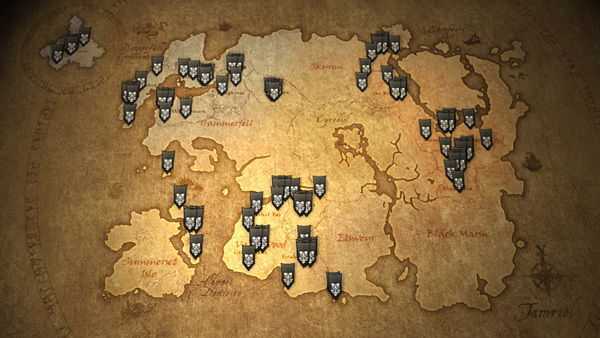 The most popular Guild Traders – and the ones that attract the highest bids – are located in the populated areas of the world such as Rawl’ka, Wayrest and Mournhold. There are a number of good spots for a Guild Trader which are not so expensive as well – such as Elden Root and Stormhaven. In order to place a bid on a Guild Trader the guild leader, or anyone in the guild with the permission “hire guild traders”, must approach the Trader during the week and place the bid with money from the Build Bank. This money is returned if the bid is not successful. It is a blind-bid so nobody knows how much other guilds are bidding. Trading guilds will often use fundraising efforts within the guild to raise enough gold to place successful bids on popular Guild Traders. Popular activities include raffles which can reward hefty amounts of gold! The popular spots are very valuable to large guilds with lots of wares to sell as the tax profits from items being sold by their Guild Trader go into the Guild Bank (ready for another bid perhaps). A guild can purchase and customize a tabard once it has over 10 members. The Guild Leader must purchase the tabard (with money in the Guild Bank) in the Guild Screen. There are many symbols and colors available to use to customize a guild tabard and it can be changed for a gold fee at any time by the Guild Leader. Once the tabard is designed and made any member of the guild can purchase one for 2000 gold in the Guild Store. Hi, have been looking everywhere for an answer and hope you can do the deed. If I belong to multiple guilds in ESO, will it show that I am online in all my guilds at the same time. Was wondering in the case I belong to 4 guilds and was online in one of them, would I show in all 3 so that if needed in one of the other guilds, I would be easy to find and your guide above is good, precise and clear. Your account is a member of the guild so all characters both existing and any new ones will show as online in all the guilds your account is a member of. There is an option to appear offline in the drop-down menu next to your name on the home page of each guild. I’ve been trying to find a way to expand the amount of text allowed in the message of the day and about us tabs. At present I have a word limit, however other guilds can seem to be able to add much much more. Any help would be gratefully received. I recently started a guild and have developed a following of 150 members. Ive noticed some guilds are able to ‘shift enter’ to creat new lines in their MOTD and some texts are even in different colours, how do I do this? Is there a way to alter the xbox keyboard through hidden settings or is there an xbox app to do this? I have a guild with ten members in it, but I can’t get or find a guild bank. Please help.